A new study by the Asian Development Bank (ADB) reveals that the lack of transparency and citizen participation in governance is hindering development and holding Sri Lanka back in many ways. It is observed that the local governments of many South Asian cities are characterised by weak governance structures and lack of citizen participation – these key governance issues are witnessed particularly in urban clusters such as Colombo and Kathmandu. An urban cluster is a collection of a core city and surrounding cities, and is said to promote local, regional and international growth. According to the ADB study, these urban clusters have the potential to become engines of growth, transforming South Asia into a strong global economic region. In the case of Sri Lanka, the urban cluster includes core Colombo, and the suburbs of Sri Jayawardenepura Kotte, Dehiwela and Mount Lavinia, Moratuwa, Kaduwela, Kolonnawa and Maharagama. 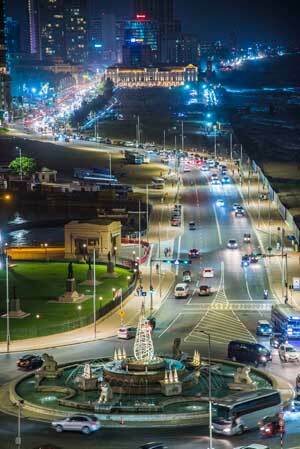 Colombo is being developed under the Megapolis project to become an ‘open city,’ according to the government. As reformative measures, the ADB suggests measuring development plans against benchmarks; setting up strong institutions; monitoring, preventing and penalising plan violations; and encouraging participation of both citizens and elected representatives at various government levels. The ADB also proposes the setting up of an integrated financial management information system that would act as a resource planning platform to explore outsourcing of tax and fee collections. Moreover, leveraging on digital platforms for citizen engagement, complaint redressal and measuring citizen satisfaction levels may go a long way. On a side note, the ADB states that Colombo has greater tourism potential that could be spurred by improving tourism infrastructure and effective marketing of tourist destinations.